ACVB aims to establish Athens as a top MICE, city-break and leisure destination in the international market. To achieve this, ACVB forges alliances with local stakeholders and the international travel industry, employs a thorough sales and marketing plan and invests in projects that enrich the city’s tourism product. Days full of energy, urban motions and emotions give today’s pulse. 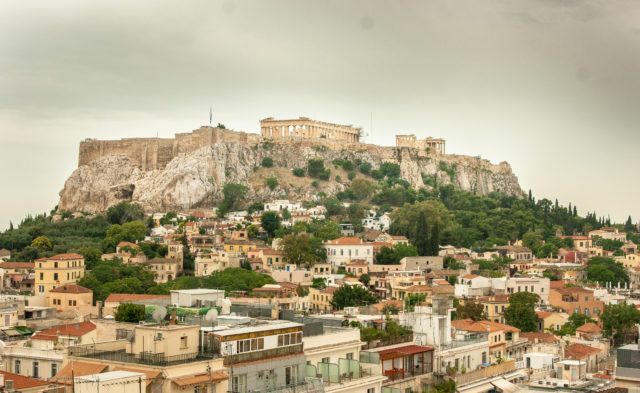 Athens is a contemporary vibrant metropolis with one exception, its alternatives. When the sun goes down, the flickering lights of Athens are on. Evenings are always an occasion to celebrate. If fancying a smashing dinner, Athens has a blooming gastronomic scene, offering an eclectic mix of food and restaurants. Followed by a visit to open rooftop bars with breathtaking view, there is nothing better than finishing off a day by experiencing the popular and lively nightlife of a city that never sleeps. In every step, central Athens reveals a mosaic of cultural contrasts, waiting to be discovered and composing exciting itineraries that satisfy the most inquisitive visitor. 2,500 years of history on the pedestrians’ roads, at the metro stations, everywhere, coexist side by side with artistic graffiti, forming a cultural carpet. All around, the Olympic spirit, keeps inspiring athletes and Marathon runners. The Athens Riviera, just 20 minutes away, sets fire on adventure, with a cruise viewing the Aegean sunset. It is like inviting visitors to the hunting of a lost treasure, with a wine or gastronomic reward, for everybody. Athens keeps reinventing itself forming a contemporary identity that lasts in time like every classic value. In these terms the city enjoys a unique burst of state-of-the-art infrastructure, with excellent conference facilities, making it an ideal destination for association conferences and corporate meetings. A wide range of luxury event hotels and a list of multifunctional art, education and entertainment complexes, massive conference halls with the use of day light and multipurpose open courtyards are up scaling advantages for Athens. The Megaron Athens International Conference Center and the Stavros Niarchos Foundation Cultural center are some of the list to name. •ACVB expanded in 2018 by doubling up its team.